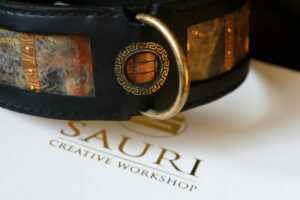 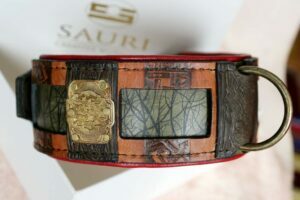 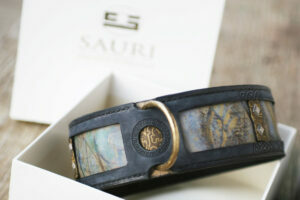 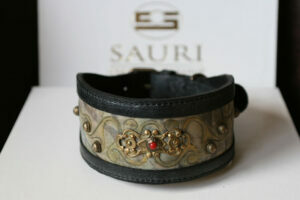 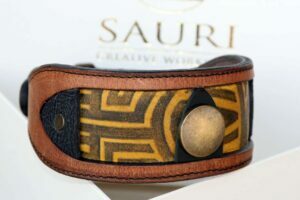 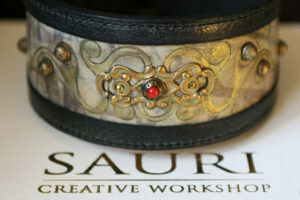 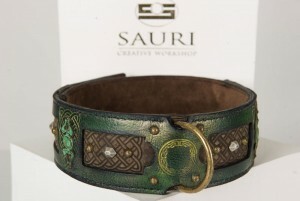 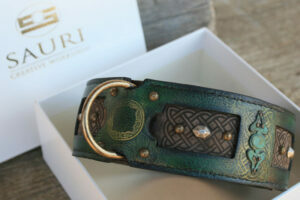 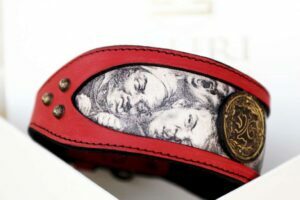 One of the reasons of Workshop Sauri’s leather dog collars being so different than other dog collars in the market is their recognizable handprint. 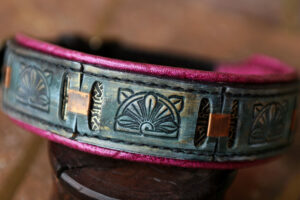 Similar to the embossings we use some patterns regularly e.g those resembling wild cats’ fur. 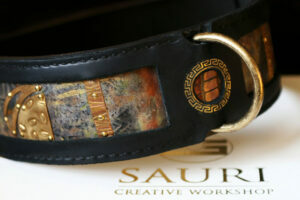 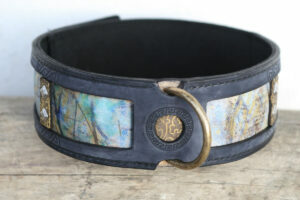 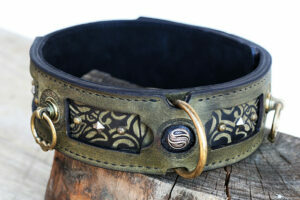 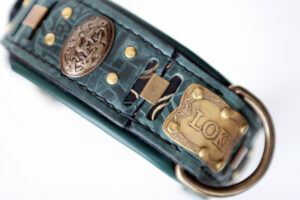 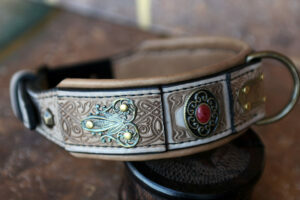 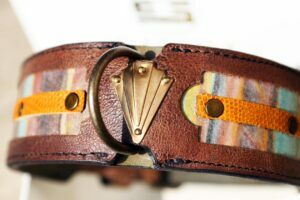 Other commonly used patterns for dog collars are natural stone and stripes. 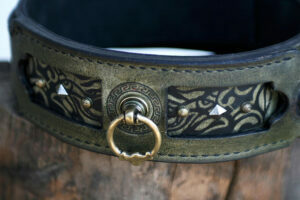 But although we do repeat some patterns there still will never be two dog collars that are exactly the same. 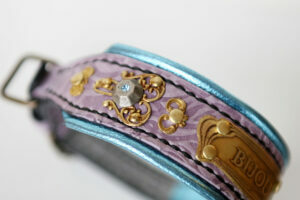 That’s the beauty of a handwork! 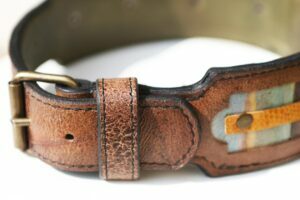 You can share your ideas and choose a specific handprint that you would like your dog to have on it’s custom made leather dog collar. 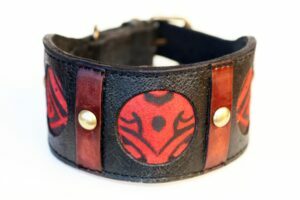 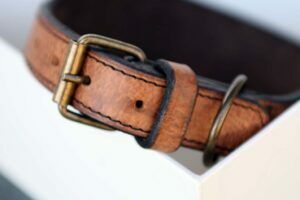 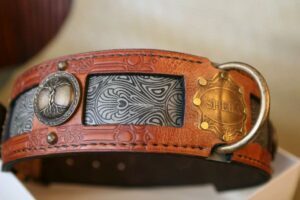 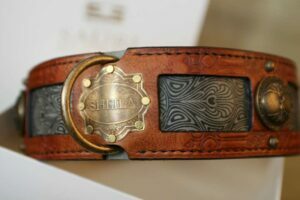 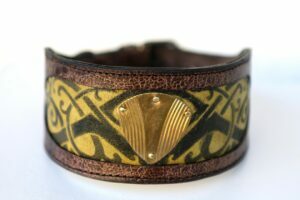 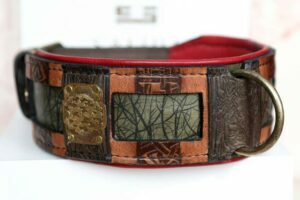 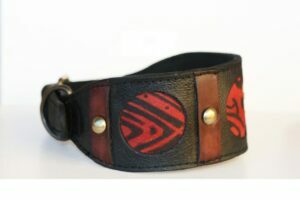 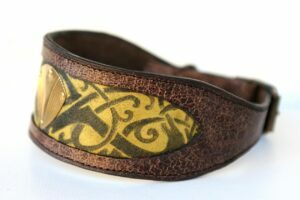 There is a collection of specific leather dog collars that we tag as designer dog collars where a free, artistic handprint is the key element. 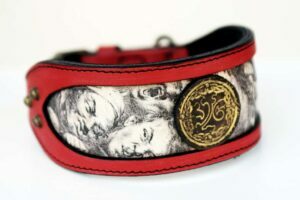 Such are Nun dog collar and Sarga dog collar.